Part of the bandhani collection, the 6>1 maxi dress is 1 of 10 pieces that creates 25+ looks and the ultimate vacay capsule. This handmade beauty is hand-tied and dyed with plant based madder root in India, made of 100% handwoven banana fabric, and only produced in small-batches in NYC. 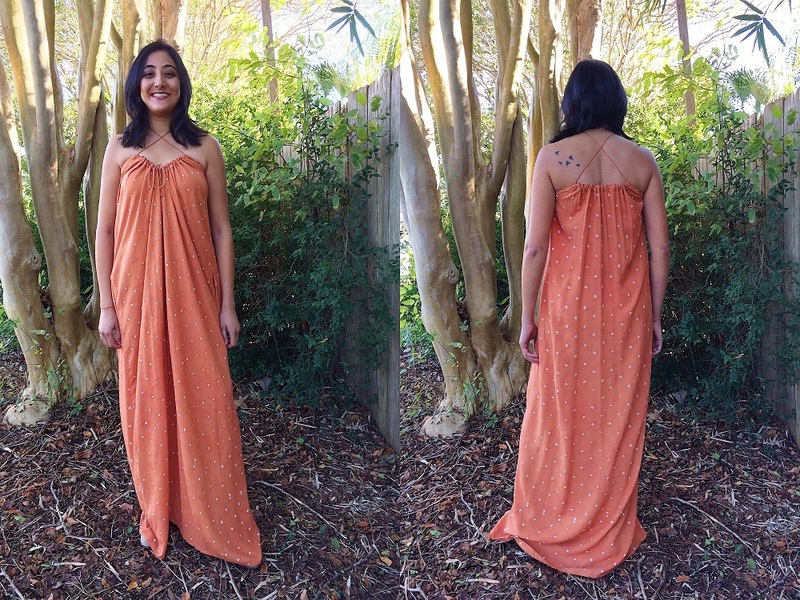 Our model in all the pictures below is 5'6, size 4, and rocking the xs/s 6>1 maxi dress. 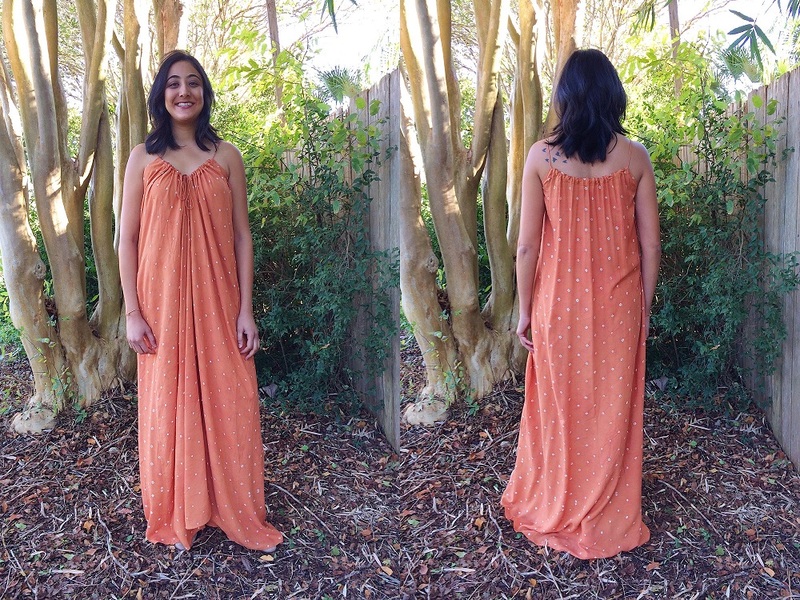 Look 1 | This is the way you will receive the 6>1 maxi dress once you place your order! The tie hits at your lower back depending on how loose you tie the string, and easily scrunches in the front. Look 2 | This look is created when your dress is flipped with the tie in the front, and scrunch in the back. To create the crisscross, leave the drawstring stringed in the dress, but cross the straps when placing over your head or stepping into the dress. Look 3 | This look is created by taking your original 6>1 maxi from Look 1, and crossing the straps before placing over your head or stepping into the dress. 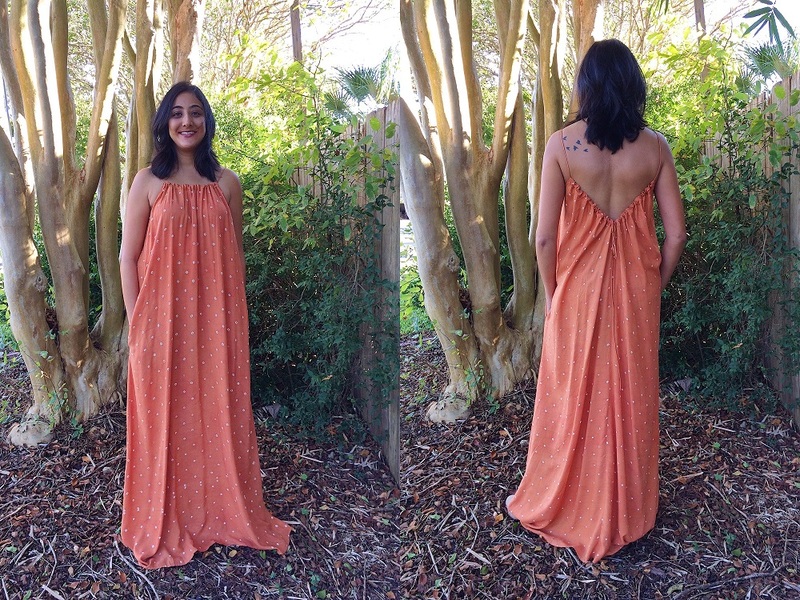 Look 4 | This look is created by restringing the back of the original 6>1 maxi Look 1. To recreate this back, take the string out of the back side openings, and restring using the center holes. Once the strings have come out from the back sides, bring both strings from both sides to the center and crisscross tie with the original strings in the middle of the back in a bow. Look 5 | This look is created by flipping the original 6>1 maxi Look 1 around with the tie in the front, and scrunch in the back. Look 6 | This look is created by keeping the dress in the original 6>1 maxi from Look 1, but only crisscrossing the back of the dress when placing over your head or stepping into the dress. Look 7 | This look is created by flipping Look 4, and having the tie in the front, and scrunch in the back. 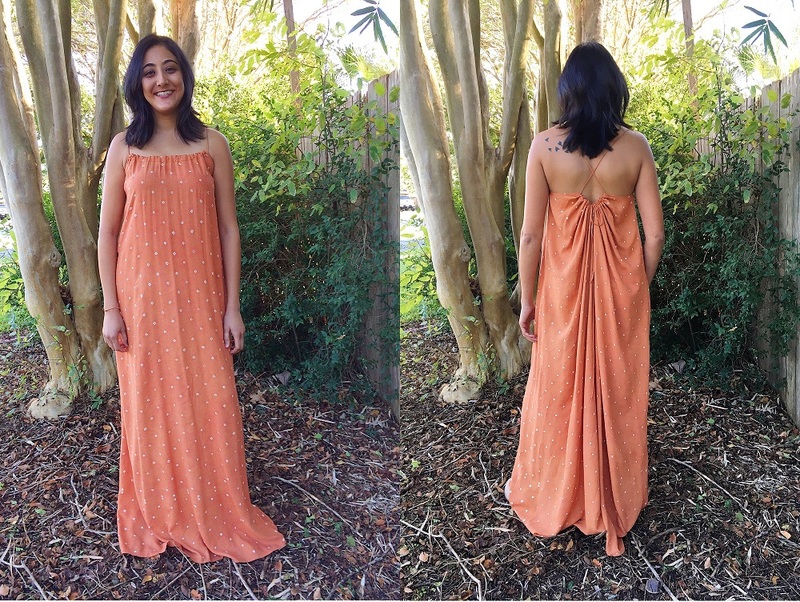 Let us know if you have any questions about the different ways to wear the 6>1 maxi dress! We can't wait to see the different ways you rock the dress!